Tarte has released an amazing new palette for all of us 99% mermaids, and it's beautiful. Tarte Be a Mermaid Eyeshadow Palette. This palette, which is a limited edition, costs $42 and is available everywhere Tarte cosmetics are available. This palette contains 14 shimmery and matte finish shades that are just perfect for looks inspired by the mythological creatures. Spring is here and I am over the moon for anything off the shoulder. This adorable off the shoulder striped dress is so dreamy and under $15 from Discovery Clothing. If you have yet to discover the Discovery Clothing store nearest to you, you absolutely need to! They also have an online shop at www.DiscoveryClothing.com. It feels so good to be blogging again. I even revisited some of the locations that I used to shoot my outfits of the day at. It was such a wonderful moment for me and I made a promise to myself to revisit more of my favorite locations because they just always fill me with inspiration and motivation to capture beautiful photos. I have been swooning for anything off the shoulder for the longest time now. I just find this trend to be so romantic and quaint. I think it will stay with me for quite some time, definitely leading into this summer. What are your favorite trends at the moment? A little retail therapy was just what I needed, and it's just what I did! Ulta was there for me in my time of need, and had exactly what I needed in stock and shipped quickly like the true MVPs that they are. There were some things that I absolutely needed, and others that I just had to try. 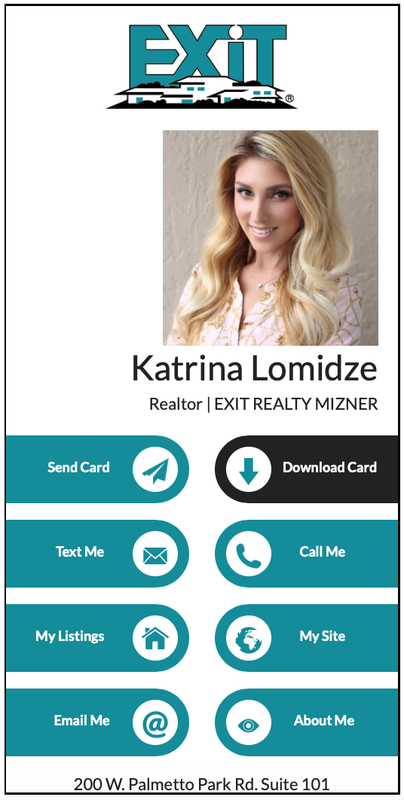 Visiting Miami in the near future on a family trip? 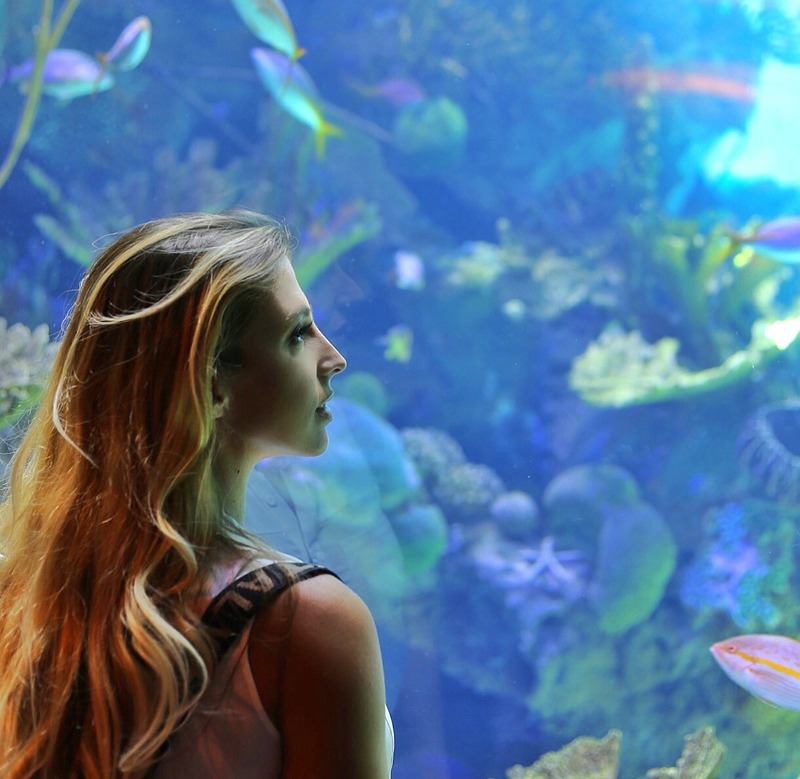 Bring the family to the Frost Museum of Science in the heart of downtown Miami. 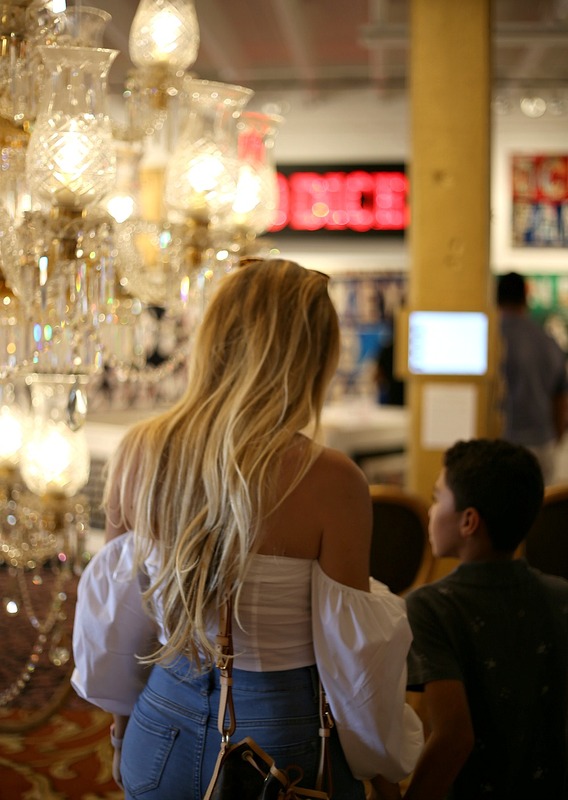 Make sure you plan to spend a while here at this museum as it houses many beautiful exhibits for children to enjoy and interact with. My son was particularly fascinated by the huge tanks that hold sharks, rays, and fish along with the local florida animal habitats that are on the top floor of the building. 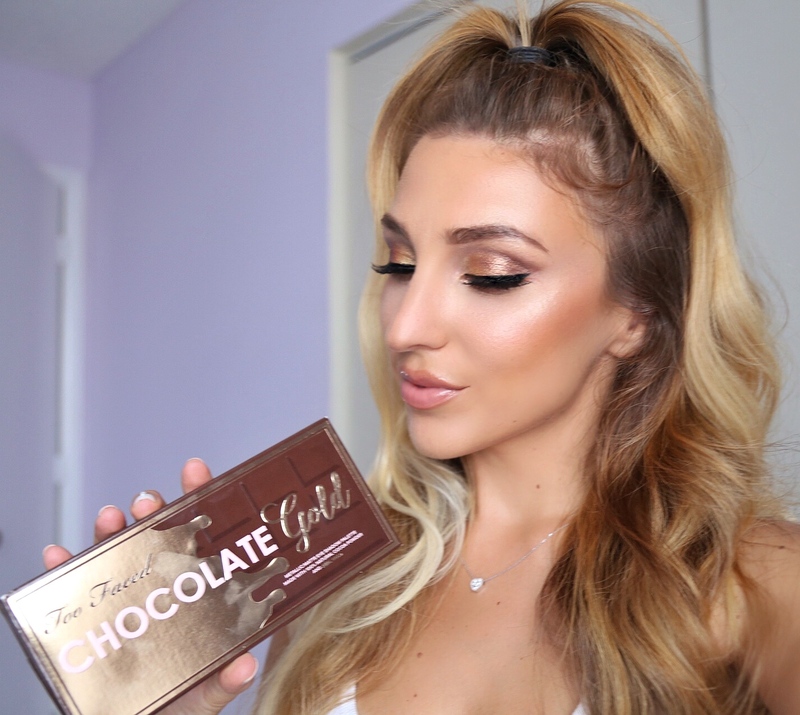 I think I am addicted to this chocolate gold! 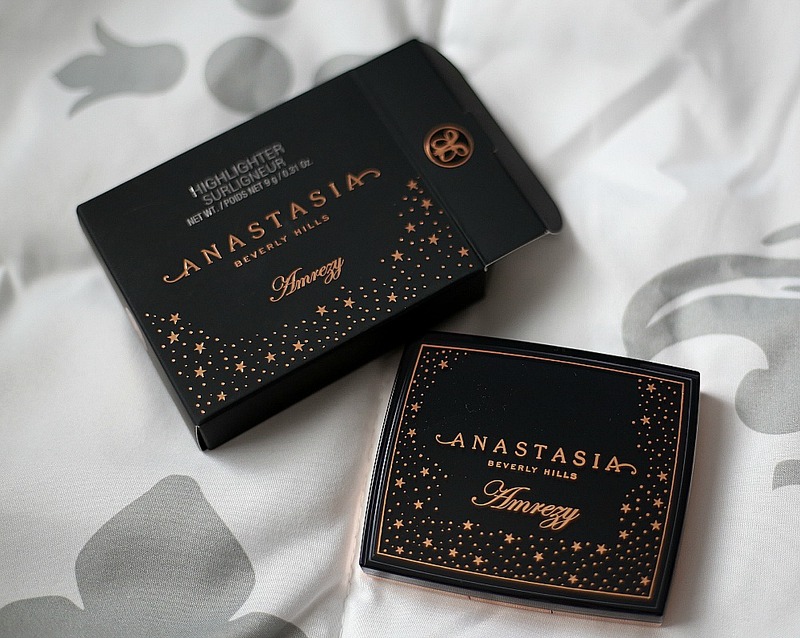 This palette has been my go-to lately and I am loving how each buttery shade is so smooth to apply and lasts all day! I went for a golden gradient look this time. It was so easy to do using 4 shades from this palette for the gradient golden look across the lid and the gorgeous highlighting color to blend them out. For my lid, I started out with "Love and Cocoa" on the outer corner and swept it in a cat eye formation into my crease. I then added "Old Money", "Famous", Chocolate Gold" and "Honey Dipped" in order from outer corner to inner corner by patting the color down my lid next to one another in a vertical line pattern. I used a fluffy blending brush to gently blend the colors together and then swept "Rolling in Dough" across my brow bone and added Anastasia Beverly Hills "Amrezy" highlighter to highlight my brow bone. What a perfect day to wear this gorgeous white flowy dress! I'm loving this look on a gorgeous sunny day. This beautiful flowy white maxi dress is from Papaya clothing (www.PapayaClothing.com). I also picked it up in an olive color because I love how comfortable and relaxed this dress is. It has such a romantic feel to it and the crocheted upper portion gives it some character. I believe that you could never go wrong with a good maxi dress and with the summer months coming up, I will be loading up on cute maxis! Check out Payapa Clothing for plenty of affordable styles! I still can't believe that I got this dress for under $30. I keep checking back to see if they have restocked in other colors, just in case I want to get it in a gorgeous light blue or blushing pink. Here is a look that I did today using my new Too Faced Peel Off Glitter Liner in "Yes Way Rosé". I couldn't wait to finally do a look with this glitter liner. I chose to use it in my crease to create a cut crease look on a gradient pink lid. I mixed multiple colors of coppers, pinks, and golds to create the colors on my lid and then added the glitter liner in my crease and it gave the look the perfect pop. Paris has been on my radar for as long as I can remember and when I finally landed in this dreamy place, I shed tears of joy. I couldn't believe that I had finally made one of my biggest wishes come true and I got to enjoy it all with my husband and our son. Paris stole my heart and I can't wait to return and enjoy the city for a longer period of time. Our vacation to Paris started with my discovery of www.TripMasters.com which made the booking of flights and hotel a breeze and at an unbelievably affordable price. 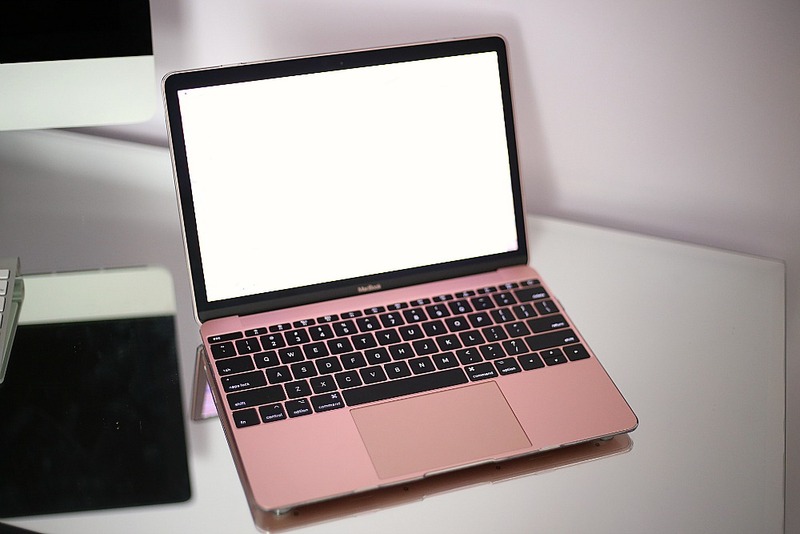 I recently purchased a new Rose Gold Apple MacBook and many people have asked me why I chose this model over a MacBook Pro or other MacBook options. 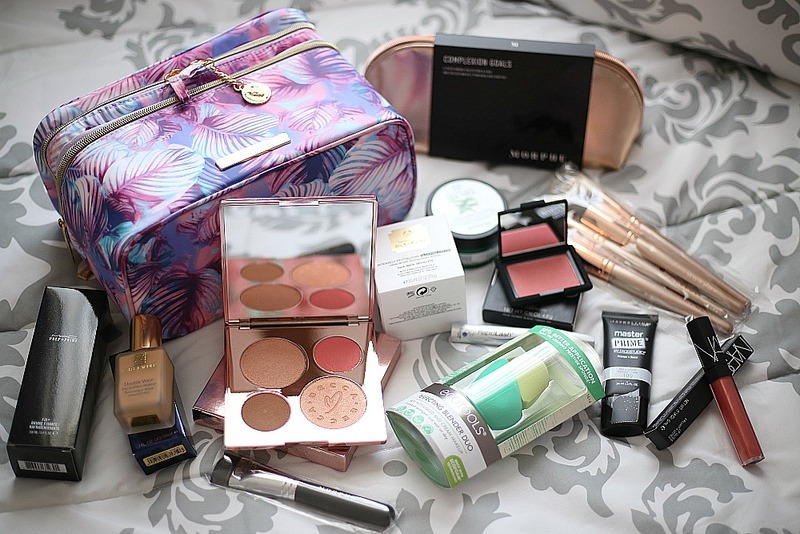 The simple answer to this question is that I wanted something compact that will be easy to travel with, and I love the rose gold! 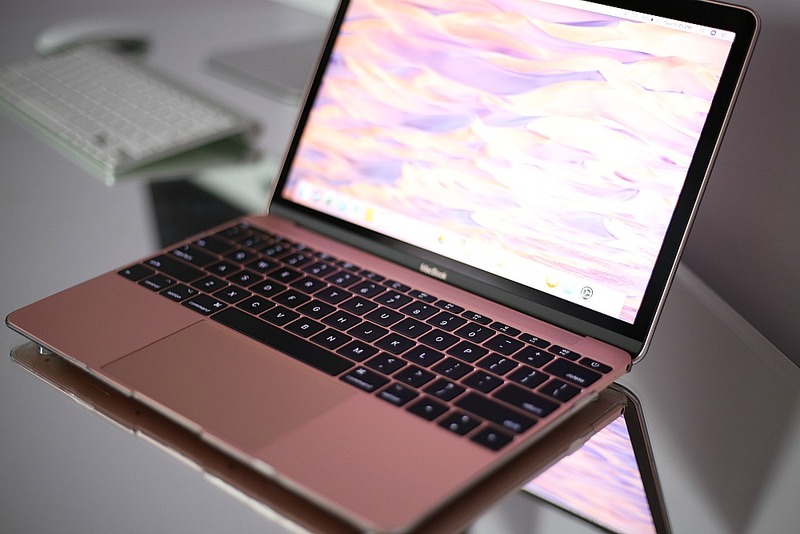 Aesthetically, the MacBook Air is just not my cup of tea, but it is a similarly compact laptop for those looking for a smaller, thinner option. The Air also comes with a smaller price tag as well so it could be your choice based on price alone. Being an Apple fan, I believe that you can never go wrong with whatever you choose within the brand. This MacBook purchase is just an addition to my little Apple computer family. I purchased this laptop as a supplement to my existing iMac and MacBook Pro. I just find the MacBook Pro to be too bulky and heavy to travel with and wanted something that was thinner, lighter, and overall smaller in size. I take a lot of photos, and most of them are either on my iMac or stored on a flash drive. 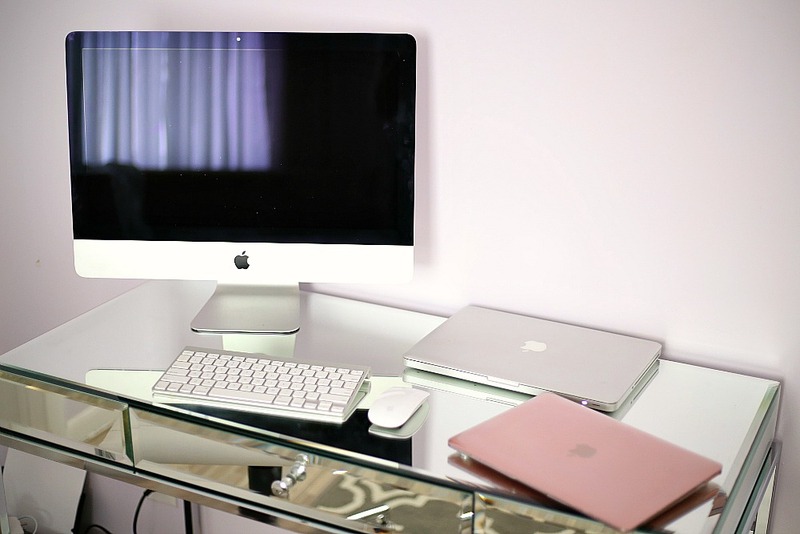 If you are looking for a computer to be a main source of work, storage, and play, then I suggest you may want to look into the desktop iMac or MacBook Pro. If your intention is for a supplemental computer to work on the go and not necessarily for storing all of your (thousands in my case) of photos, then the MacBook or MacBook Air is the right choice for you. Again, you will survive if you use flash drives and outside sources of memory to store most of your photos or documents. Using programs like Photoshop, Lightroom, Final Cut, and other large software programs will slow down your computer if you do not have an adequate amount of so keep that in mind. You really have to think about what it is that you will be doing on your laptop to truly determine which one would be right for you. My rose gold MacBook has 512GB of storage, which is plenty for my intentions with this laptop. The cheapest MacBook Pro has 128GB of storage but a faster processor than my MacBook. Walking into the Apple store and asking the "blue shirts" always ended up with me being led to the MacBook Pro, which is not what I wanted. The buzz word "photo" led every one of the Apple store employees to try to tell me how more memory would be path for me, but 512GB or memory is more than enough for what I plant do with with this laptop as a supplement to my collection. Now if you're really concerned with storage and memory and you don't care about the versatility of a laptop, then its a no-brainer - go for the iMac. Most of them have either 1TB or higher of memory which is plenty for someone like me. 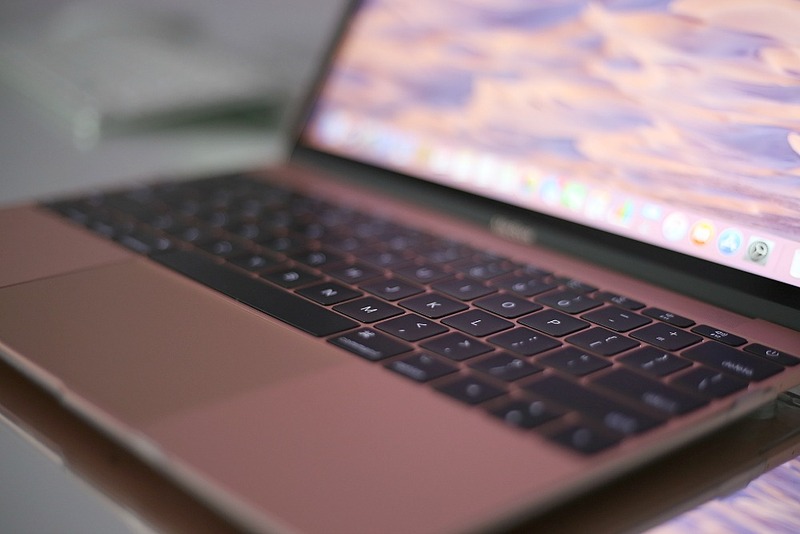 The new MacBook is a thing of beauty. The new technology in the keyboard is fantastic. It's almost as if the buttons are floating and pressing them is as easy as a touch. If you have not heard about the new design of the keyboard, I suggest you head over to the Apple website and check if out on the homepage for the MacBook. The website is beautifully designed to show the difference between the traditional scissor mechanism for the keyboard buttons in comparison to the new butterfly mechanism that is used now to create a thinner and more precise keyboard. So many new specs have been added that has allowed Apple the ability to create a super thin, and light fully functional compact notebook. The processor itself works on just 5watts of power allowing it to run virtually silently and generates less heat, which eliminates the need for a fan. On the more obvious side, the new color options may stand out to some people. I for one, fell in love with the rose gold and just had to have it. This notebook is also available in gold, silver, and space gray. You won't have the glowing apple logo on the front of the laptop, but instead a beautiful metallic apple logo. It's a small thing to give up to have an aesthetically sound, compact device. Have you been shopping for a MacBook? 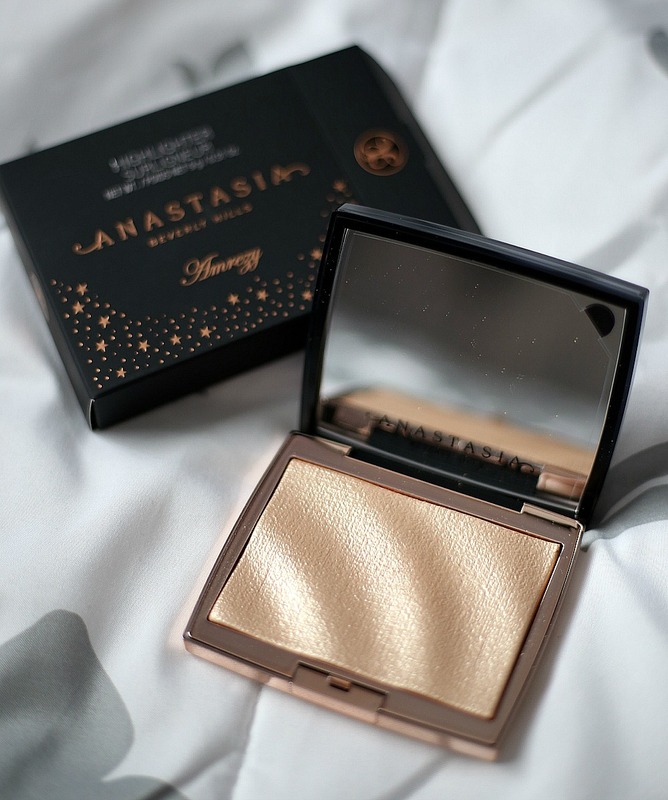 The highlight queen, Amrezy, has teamed up with Anastasia Beverly Hills to bring us golden champagne glory. 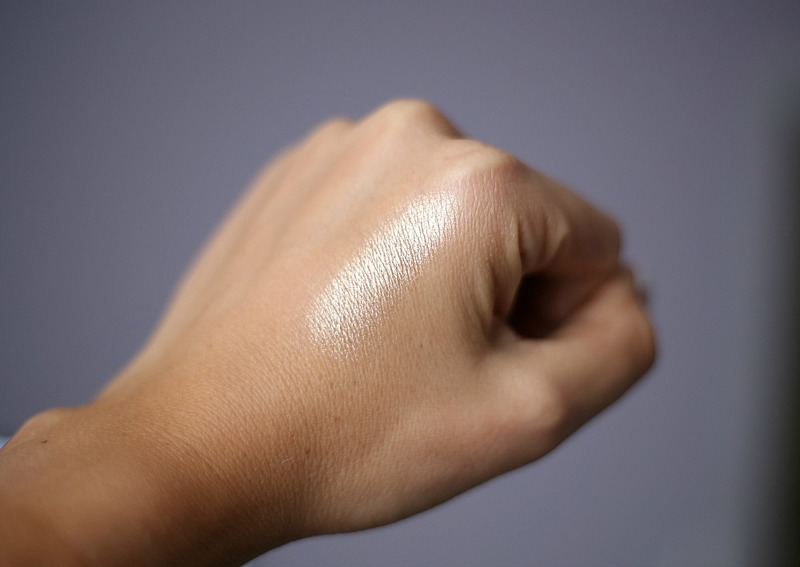 This highlighter is a medium champagne golden with undertones of yellow and a metallic sheen finish. This product can be found at Macys, Ulta, and Sephora for $28.00. 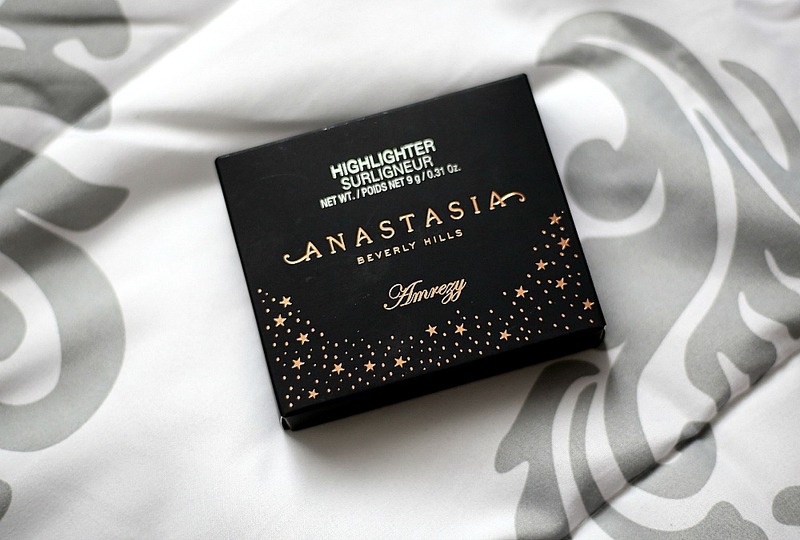 The formula of this highlighter feels very buttery to the touch and smooth to apply. It feels like it glides right onto the skin. It doesn't give off that glittery look with tons of fall out, instead it gives off a wet "second skin" look and feel. It's beautiful and you don't need to apply very much of the product to get your desired look. I have a feeling this compact will last me a long time since one swipe of my fan brush gave me enough to finish off my desired glow. It is a limited edition product so it will not be on shelves for too long. I can't wait to post some looks using my Amrezy Highlighter! 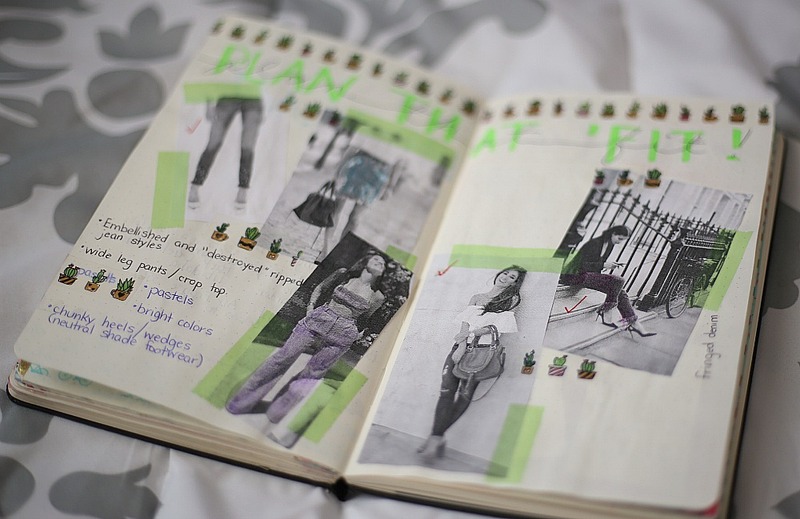 A bullet journal is a type of journal that is dotted rather than lined. 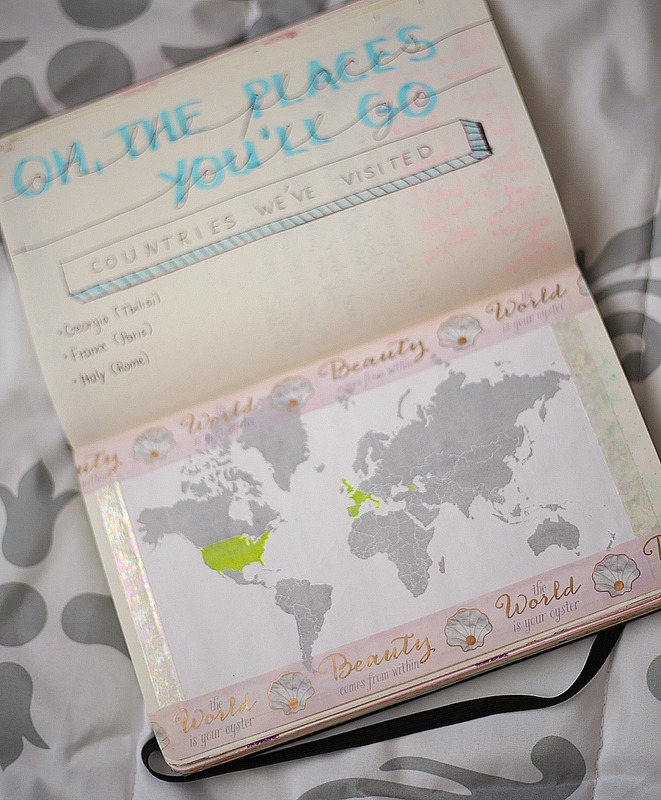 The dotted lines give you the versatility to create whatever you would like on each page. 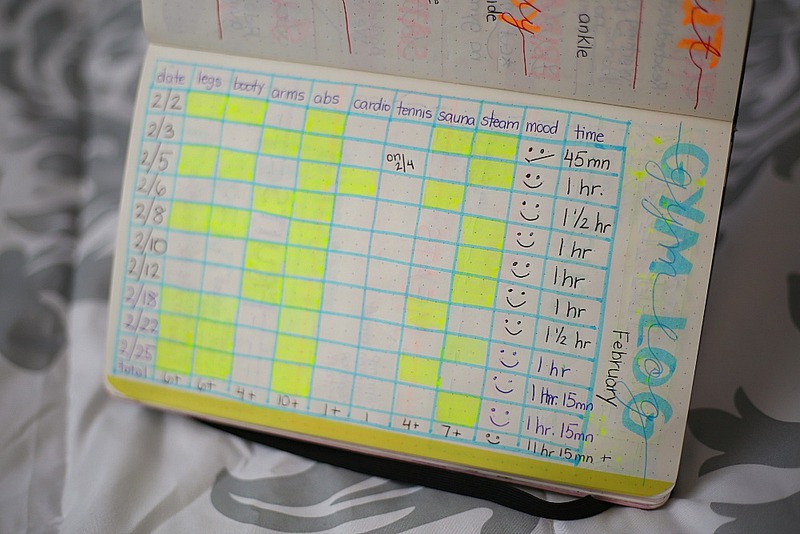 Most people use bullet journals to plan their days, weeks, months, and years, while others may use them as a supplement to their regular agenda. 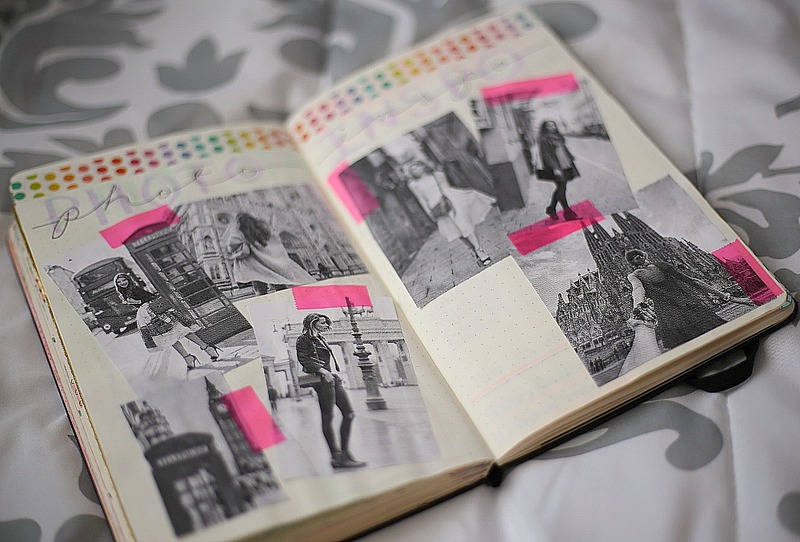 Used as a supplement, a bullet journal can help keep specific things in your life organized, such as budget, fitness, blog post planning, outfit planning, the list can go on and on. 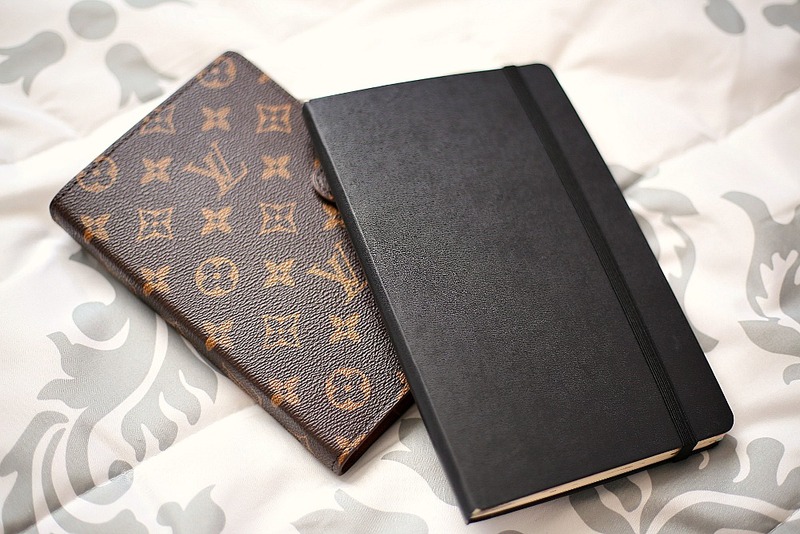 I've sort of merged my bullet journal into a supplemental organizer when I got my Louis Vuitton agenda. 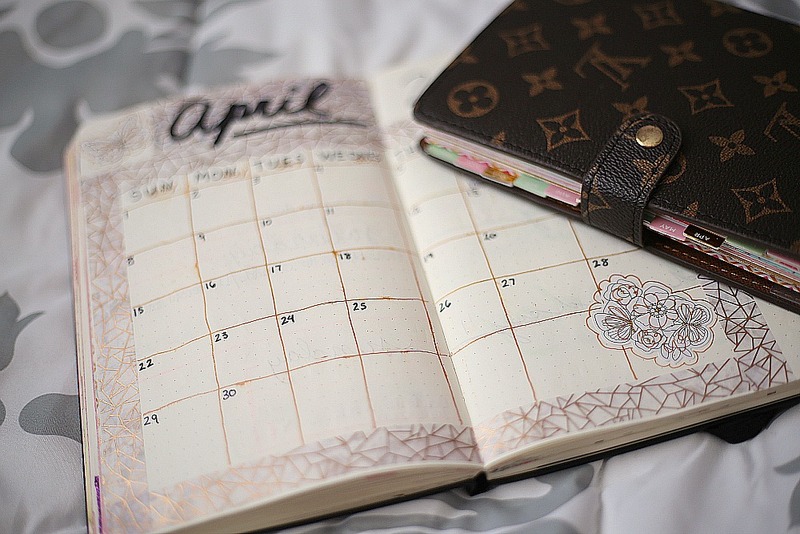 The agenda helps keep my days, weeks, and months organized, while I plan my outfits, meals, budget, blog posts, and photo inspirations in my "buju". 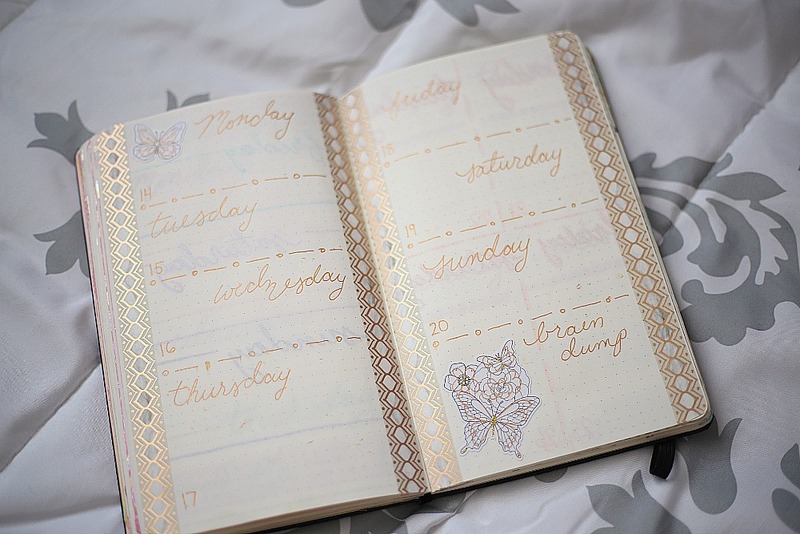 A quick google search will get you tons of bullet journal ideas and tips and a trip to Michael's can get you all of the supplies that you will ever need. 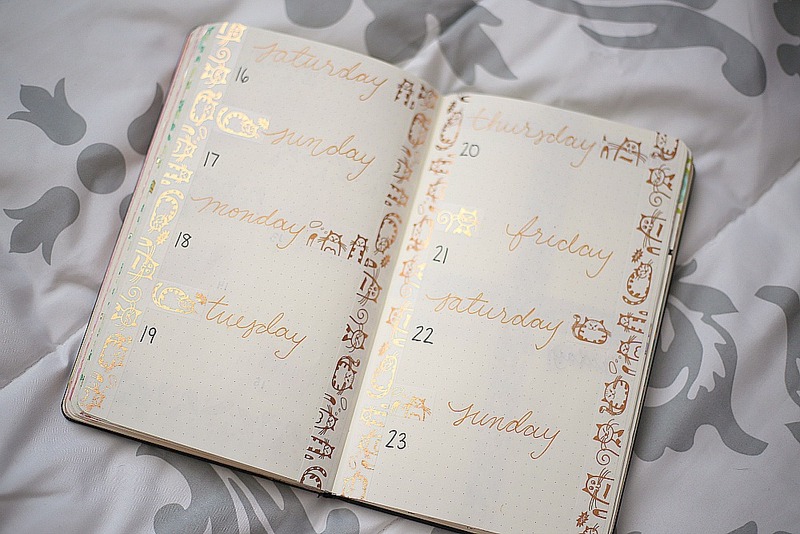 My greatest joy is using washi decorative tape while decorating new pages and creating new weekly spreads. Washi tape can be found at Michaels but Amazon is the king of washi tape goodness. Walking down the stationary aisles of any store is such a pleasure and I can't help my stuff lots and lots of stationary into my shopping cart. 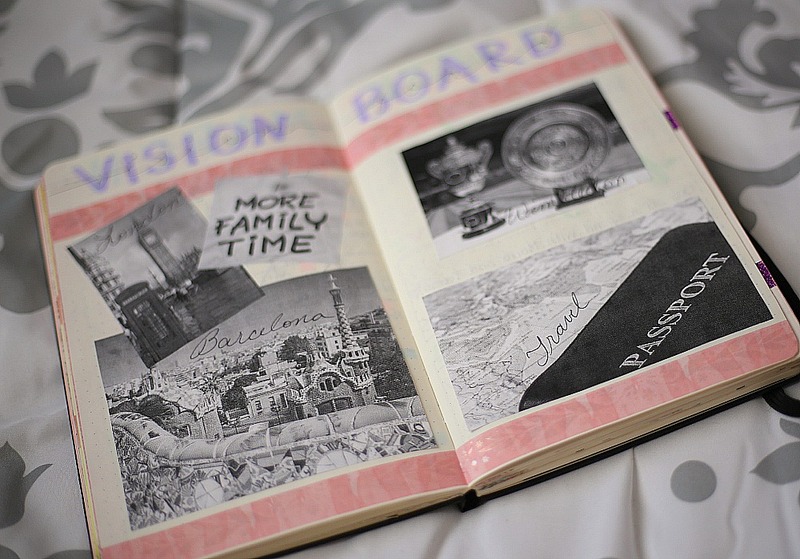 I absolutely love to fill my pages with stickers and use awesome calligraphy markers and colored gel pens. It's something I put aside some time to do on a weekly basis to hone in on how my week is going and to keep myself organized. 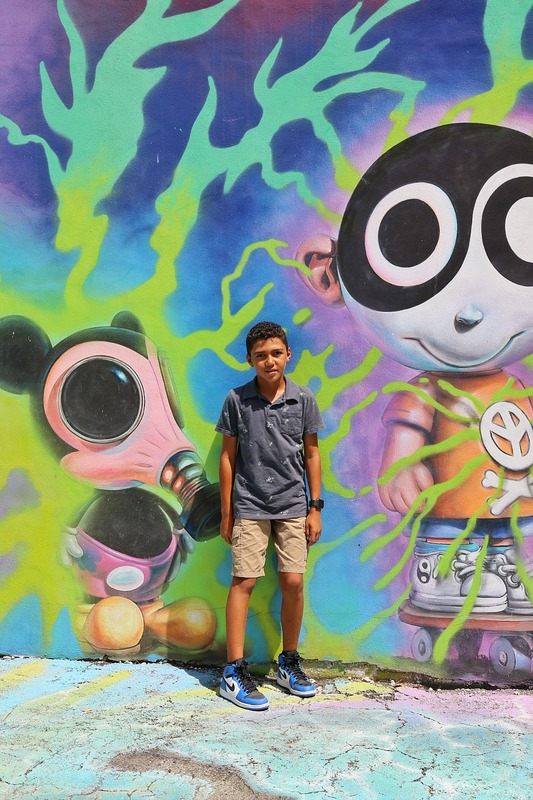 Wynwood is a district in Miami dedicated to art and fashion. 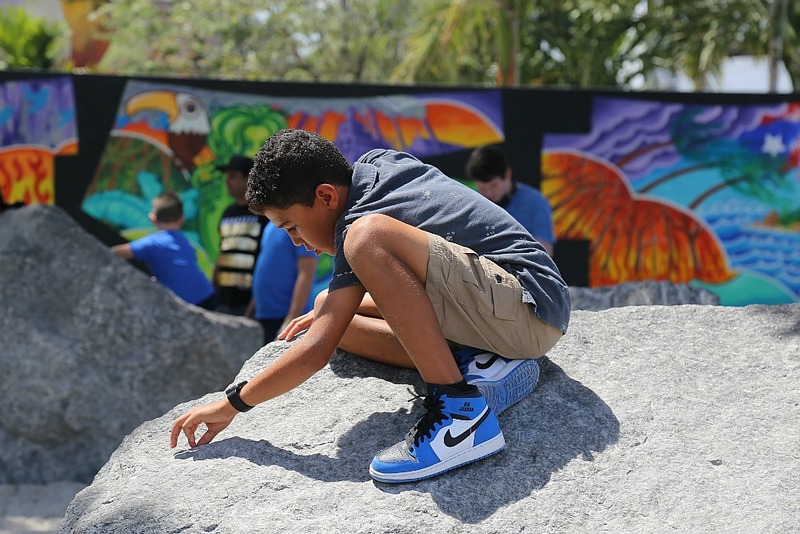 It's pretty much an outdoor museum lined with beautiful colorful murals created by some of the world's best known street artists. You can also find the streets of Wynwood lined with art galleries showcasing some very expensive art for sale. A popular time to visit Wynwood is during the second Saturday of every month, during Wynwood Art Walk. Art Basel, an annual global arts fair, is another very popular time for visiting Wynwood. Today, my family and I decided to go explore Wynwood and take in the scenery. We enjoyed tacos at Coyo Taco on the Main Street in the center of Wynwood and walked around taking in the walls. We entered the main Wynwood Walls art exhibit and enjoyed the indoor gallery as well. Some excerpts from the failed Taj Mahal casino in Atlantic City were on display and it was interesting to read about the backstory behind the artists vision for this exhibit. I wore a simple outfit compiled of my favorite light colored Fashion Nova high waisted jeans, topped off with a Ny & Company off the shoulder puff sleeves top, and Chinese Laundry lace up pom pom espadrilles. The bag I chose for today was my Louis Vuitton Noé BB. Here are some photos of me with my favorite walls and exhibits today. 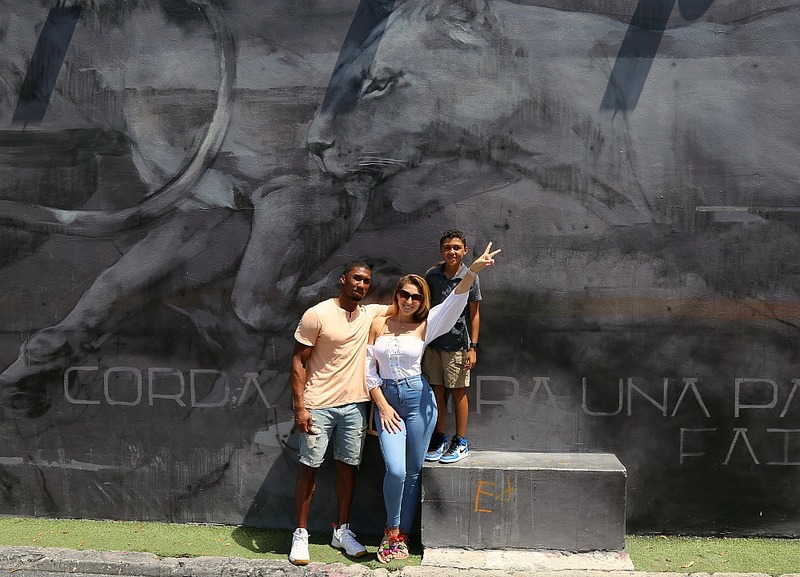 My family and I had a blast spending the day down in Wynwood. 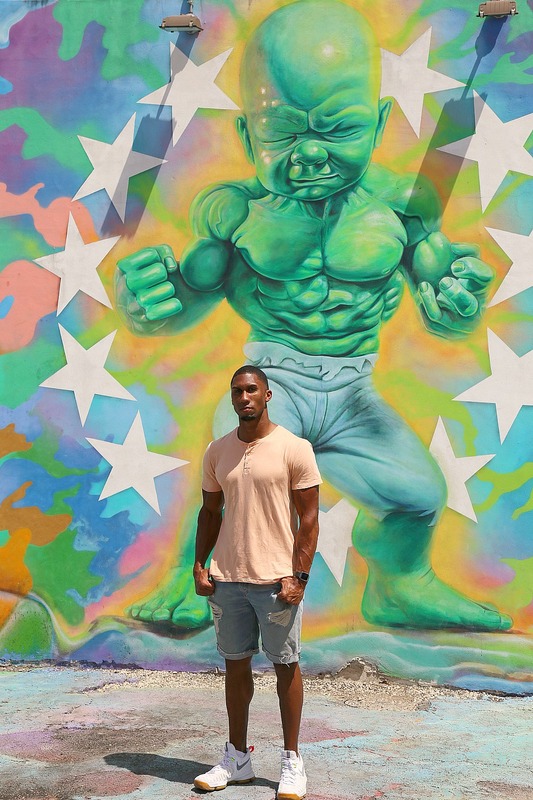 Have you ever been to Wynwood?